There will be times when it becomes necessary to speed up a video clip. Let's imagine that you want to include a clip in your movie but the actual scene as you captured it played out a bit too slowly. This can be easily corrected by speeding up the video (with the bonus of creating a more dramatic visual). You'll quickly discover that you can use this feature to accomplish some really neat effects! First, right-click the clip whose speed you wish to change. Next, hover your cursor over Speed in the menu to reveal a selection of pre-defined speed increase ranging from x0.5 slower to x2.0 faster. 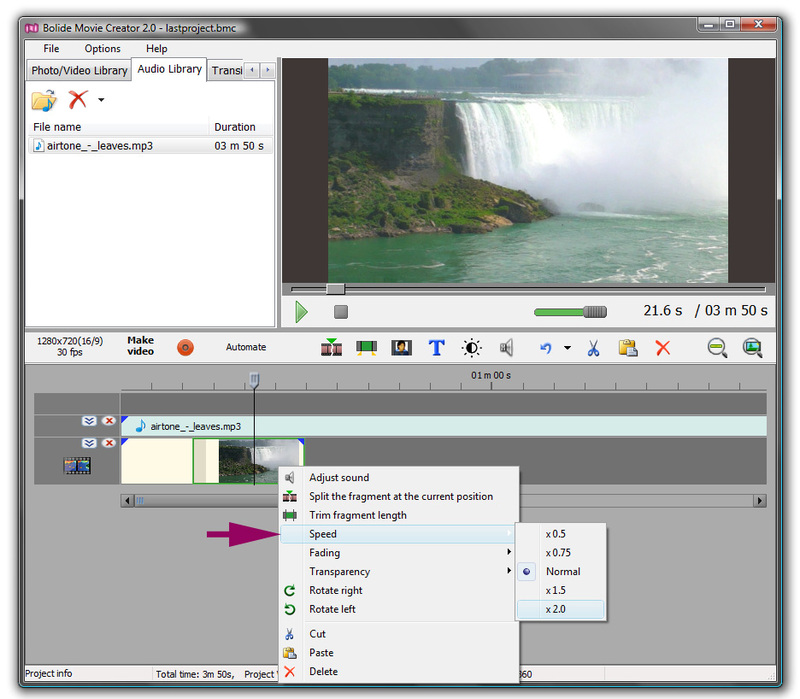 You can return a clip to its normal speed at any time by choosing Normal from the Speed menu.